All SaltConf18 attendees must agree to the SaltConf18 Code of Conduct. 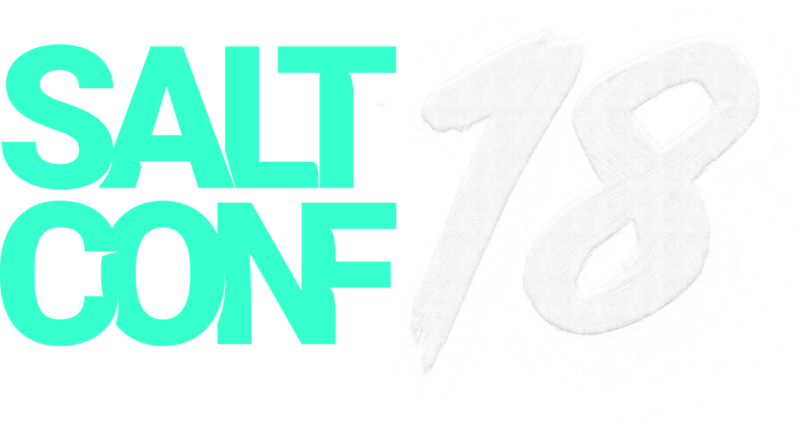 SaltStack is dedicated to providing an inclusive and safe SaltConf18 experience for everyone, regardless of gender, gender identity and/or expression, sexual orientation, disability, physical appearance, race, nationality, or religion. We do not tolerate harassment of SaltConf18 participants in any form. We are a diverse community of professionals and we work hard to maintain an open and friendly community that embodies a long-established “no jerks” policy. Please be considerate and careful with your words and actions. SaltConf18 exhibitors in the expo hall, evening party hosts, and organizers of related conference activities should be aware they are also subject to the code of conduct. In particular, exhibitors and party hosts should not promote sexualized or offensive imagery or activities. Participants asked to stop any inappropriate or harassing behavior are expected to comply immediately. If a participant or sponsor engages in behavior that violates the community code of conduct, SaltStack staff may take appropriate action, including expulsion from SaltConf18 with no refund.